Our Modest AMD Gaming Build is built around the Ryzen 3 1300X. Using the stock cooler you should be able to achieve moderate overclocks on this unlocked processor. We've paired the R3 1300X with a parametric list of mATX B350 motherboards that supports up to 64GB of DDR4 memory, multiple SATA6 devices, and front panel USB3.0. For this build and most machines outside of the top end enthusiast realm we opted to go with 8GB of DDR4 memory. The parametric filter finds the best price on 8GB kits of memory that are within AMD’s recommended specifications. We've limited it to a range from DDR4-2666 to DDR4-3200 as Ryzen CPUs scale well with higher frequency memory. At the current time, using memory rated over 3200mhz is not advised without doing extra research as DIMM support can be hit or miss. AMD is working on releasing additional BIOS updates to add better compatibility for higher frequency memory. We're also using a parametric filter that will actively select the best-priced SSD of at least 240GB capacity. Additionally, we're including a 2TB mechanical hard drive in a parametric filter for things like storing media and extra games. Everyone's storage needs differ, so feel free to change the capacity to your usage. At this price point we suggest using the Nvidia GTX 1060 6GB edition. We specifically filter for the 6GB model as the 3GB not only has lower VRAM but also a lower core count leading to lower fps while gaming. The performance across most games will be similar to the AMD RX 570. We've created a parametric filter to show you the lowest priced, full sized GTX 1060 6GB under 350 dollars which will be powerful enough for most AAA games at 1080p. All of the components are housed in the Cooler Master - MasterBox Q300L MicroATX mini tower. This case is an affordable option that has a large side panel window, front panel USB3.0, room for full size graphics cards, an LED case fan, and cutouts in the motherboard tray for easy cable routing. Some AMD B350 chipset motherboards may need a BIOS update prior to using Raven Ridge CPUs. Upgrading the BIOS may require a different CPU that is supported by older BIOS revisions. I agree. That's just sad. to be fair, it's not only the mining that's the problem. Ram prices are unfair cause phone companies take it all. And since video cards use the same stuff, well, you can guess. I realize that, but it's just weird because the MSRP was literally $250 for the 6GB version and $200 for the 3GB version. The MSRP for a GTX 1060 is to close to for comfort the price point where you can get a GTX 1050Ti. But what you say is true, though. I agree. But those Ethreum miners, ugh. Maybe not JUST miners, but miners could be the biggest contributor to the wack prices right now. You can now. Prices are finally coming down. If your very very very lucky, yes. I've been on auto notify for 2 months. Got an in-stock allert about a month ago, the email was 4 hours old. I immediately checked if there were any left, but no such luck. didnt even think about how fast they would go, now I fell stupid lol but you never know you might get lucky, so good luck. Thanks, I plan to keep trying,. Your cell phonee carrier usually has some form of email wheres its nuber@carrier.com or whatever. See if you have one and it'll forward it to a text. The same thing happened to me twice. But it wouldn't have mattered because i noticed the price they sold for was the 2x price as opposed to the price shown on the webpage at the time of setting up my notification. They keep that price low it seems until its available for sale and then jack it up. I wouldn't have paid that much anyway so i just bought a 1050ti. Haven't built the system yet but we'll see how much i can get out of it. If you increase the max price to 370, you will often see deals on 6GB 1060's pop up every few days or so. I just got one yesterday for 355. Agreed. I'd rather have a 120GB SSD with a 500GB-1TB HDD. Should roll out to $100 give or take based upon the HDD selection. Ex: PNY CS900 120GB + WD Caviar Blue 500GB = $80 USD. I realize it's much much smaller than the 2TB SSHD, but I value load speeds over capacity, and combined storage should be enough to store 5-10 current titles with 1-2 of your favorite games on the SSD. Not really. You're putting like what, 4-8GB of SSD cache with an HDD? Caches don't work perfectly: Sure, maybe boot up will be pretty quick and launching a few common apps will be pretty quick but open a game? HDD speed. Open an app you don't necessarily always open? HDD speed. Try doing writes to the SSHD? They aren't gonna be so fast, since you're looking at only a few gigs of flash (very little parallelism and usually the flash and controller used aren't that good anyways). What you're much better off doing is getting a 120gb ssd+HDD. Store OS and commonly apps (as well as maybe a game) on the SSD, and most of your games and stuff on the HDD. You get the fast boot times and app launch times the SSHD gives you, albeit wayyy faster. Choosing the 2400G and choosing a discrete GPU here kind of defeats the purpose. The cpu might as well be Ryzen 5 1400 which often is slightly cheaper. It's so you can use the computer (have video output) while looking for a good price on the gpu. 1400 has no integrated video. It's a bit wasteful, but a first time builder who is a student or works from home probably can't wait on gpu availability to have a functioning PC. If you can wait though, the 1600 is a good value for performance. This is a gaming build though, I don't imagine it's for people who have an urgent need for a computer to do their work on. I would rear away from the APU because 1060 deals pop up pretty consistently for around 350 give or take 5-10 bucks. But since it's meant for gaming, why not just wait till you get an affordable GPU and then get the rest? I mean, yes, this is all conjecture and theorycrafting, so who the hell cares, but buying all your hardware NOW while waiting, what, 6 months for a GPU? Meanwhile, your hardware will have been deprecated in value for 6 months, and you could probably have picked it all up a bit cheaper when you get your GPU. Bad move. Can't recommend that anyone actually do this. Well, the point in these builds usually is to get everything at once. If it's made so that you wait for the gpu, it might as well simply not have the gpu listed and the buyer will later get one which they deem fitting. It's no use adding cost of a gpu you might not get as it won't be part of the whole pc budget anymore at that point. Instead it will have it's own budget. Must have missed that part when reading the description. Yeah, that makes sense indeed to go with Raven Ridge. The Ryzen 5 2400G actually has a higher clock speed than the Ryzen 5 1500X, and can probably overclock farther due to its improved manufacturing process. That makes up for the price difference even without using the integrated GPU. The g2400 is there so that you can still game if you don't find a gpu. The Ryzen 5 2400G already has a GPU capable of light gaming, so if you didn't need integrated geaphics, Why didn't you just use something like the 1500x? Point #1 is so true. You're actually hurting yourself getting an APU and a GPU. Either go with a 1600X (only 30 bucks more now) and wait for a better graphics card, or buy some fast RAM and water cool and overclock the 2400G without buying any GPU (will play AAA games at console-level settings). If you plan on getting something like a 1080ti when they're not a jazillion dollars, the 2400G will be a bottleneck at that point. This way you'll either upgrade your GPU, and end up selling your current GPU at a much lower price when the market finally normalizes, or you'll end up selling that APU at a slight loss to get a faster processor that can handle the 1080ti or whatever you plan on getting. But if you get an APU and a mid-level GPU, you'll have to replace both. I think the mistake here is not getting something like the 1600X which can later be paired with a 1080ti to thrash pretty much any game out there at max settings. Agreed on the 1060 3GB; I've had both; and the 1060 3GB is a very capable card with few games that will breach 3GB (and that just requires going down a setting on the preset usually). For 99.99% of games absolutely G2G with 3GB @1080p. I can understand with the high DDR4 RAM prices, you'll need to limit the amount of memory to 8 GB, otherwise you'll be spending up to $200. The question is with this Ryzen 5 2400G CPU, if you have the graphics memory set to 2 GB plus the O/S using 1 GB or more, you'll only be left with a max. of 5 GB's to run games and programs. Is that enough RAM to run smoothly? Generally with this CPU yes. You won't be running most games on max/ultra resolution anyways as that would require more graphics power. At the quality settings games will run at on the 2400G and 2200G, 8GBs of ram with 2GBs allocated to the graphics chip is more than enough. The faster the RAM the better tough, keep that in mind. Even a 2666 MHz kit overclocked to 2993 MHz should be fine. Another thing to keep in mind, Ryzen will benefit from dual or quad channel memory, stay away from running a single 8GB stick or you will really hinder performance. isn't like $90CAN allot for a Power Supply? couldn't you just go with a 500W EVGA? whats the point of the ryzen CPU with the integrated graphics if you have a GPU? Potential BIOS update for the Mobo. Sounds like more of a pain than the PC is worth. If people are willing to wait, a company called B & H Photo in NY has computer parts, like that graphics card. It can be found for that price range but, like you said, you have to stay on top of it and be willing to wait to find those deals anymore. Same place I used for all my parts in April 2017. Good prices! and they accept PayPal too! I am new to computer and I am really confused about the Potential Issues. Can someone put that in like non computer terms? AMD offers an "upgrade kit" upon request that consists of a cheap CPU and cooler that you can use to flash the BIOS. You need to send the CPU back, of course. Most motherboards bought new now ship with the latest BIOS, or at least one that supports Raven Ridge APU. Don't be afraid to contact the reseller and ask if its Raven Ridge ready! I'd swap the storage drive and PSU to something I prefer. Other than that, I approve! I don't expect it to perform at that speed. I just expect it to function. Also remember they're using a parametric filter. The Ryzen 5 1500X is very close, but its clock speed is a bit lower. Just to remove any ambiguity... are you saying the 1500X would work with this motherboard without any BIOS update? Also, what about the 1600X? Whichever one fits your budget and from whatever company you like. Sorry, I'm new to this, can you use a separate graphics card with a built-in one with no problems? Yes, the integrated GPU will be disabled and the separate graphics card will take over. Does the vega 11 graphics support h264... That APU could be a really good option for Streamers if the GPU inside has H264 encoding... If you can't figure this out, maybe I will buy one and see what it can do. I'm fairly certain it does, I hear people use it for encoding even when they have a discrete card, much as people do that with Intel QuickSync. How Consistently are people running into the Gigabyte BIOS APU compatibility problems? I really don't want to order all these parts just to flash the motherboard with another AM4 cpu. Would The Asus Strix edition b350 chipset be a more reliable option? I've also read reviews that the Gigabyte Motherboard is really touchy with Overclocking? Great build. I’m very pleased with my 2400G as well. Glad to see others who find the APU to be a nice fit while holding out for a GPU at a decent price. I have read earlier in the thread, but just to clarify; The motherboard listed in the build is not compatible with the new Ryzen 5 2400G CPU and will need a BIOs update? It might not be compatible out of the box. Unfortunately, we have no way of knowing how new or updated the stock is at the various retailers. My son plays games like Minecraft and Roblox and uses Quicktime to capture the screen coupled with a condenser mic to capture his voice. Ultimately he uploads these videos to youtube. Will he be able to get away with this build and have optimal performance considering his main use case? Right now he's on a really old mac and it's really choppy and the rig is about to explode pretty much. Absolutely. This machine will easily be up to the task. thanks, big fan of your work, I built one of your other PCs 2 years ago and it's still killing it!! This build would even be overkill for roblox or minecraft. A pentium would handle that just fine for even less, or a 2200G. As long as he is not doing both at once. If he streams I would just get a 2200G with no GPU. My $500 build is way better! This is an 800-900 dollar build. Would a GTX 1060 6GB from GIGABYTE work with this build? Amazon had Gigabyte GT 1030 for about $79 dollars. That would compliment the modest gaming build. Also NewEgg is offering $20 mail in rebate on Ryzen 5 1600. I feel Ryzen 5 1600 is better than 2400G if you are getting your own graphics card. Yes but 2400g is not as powerful as 1600 when it comes to multitasking, streaming etc. If ones intention is gaming then one should get a more powerful graphics card than 1030 or APU 2400g. Do you need a graphics card for this build or could you buy it later. Because we are using the new Ryzen APU you can use this build without a GPU and purchase one later. Would it still be able to run some games or no? Could I fit some kind of liquid cooling in this case, like the Corsair Hydro H50, and an M.2 drive. I'm a bit worried. Skip the Watercooler. It is not needed. I would get a good looking air cooler though.. something like a cryorig h7 quad lumi. and yes you can fit an m.2 drive on that motherboard. I'm looking to build a budget computer around this price and based off this build but I'm new to this kind of stuff and wasn't sure on some things. 1) I was wondering if the CPU's integrated graphics would run games like fortnite, league of legends, world of warcraft smoothly (good fps) at the lowest settings whilst I look for a decent priced graphics card. 2) I note the compatibility issue with the CPU and motherboard, I was wondering if there would be an alternative motherboard (don't mind paying extra) that suits the build but eliminates the problem as I'll be ordering to Australia so if shipped from overseas I don’t really want to wait for a replacement CPU to use my PC. Also, I’ll be looking to upgrade in the future so was wondering if there is a better motherboard that allows more upgrades down the track whilst eliminating the CPU issue. 3) Could I add an optical drive to this build or use a different case that fits the build and offers a drive slot and more room to make my first build a bit easier. Any advice would be appreciated and as I said I'm trying to stick to my budget but I would probably be willing to go another $200aud. over the budget if it will make life much easy for now and the future. 1) It would probably run them at relatively good quality settings, but not 60 FPS @ 1080p at higher settings. 3) Of course. You could use a USB optical drive, an internal, or any case you want, so long as it supports the MicroATX form factor of the motherboard. Is there a way to avoid the BIOS issue or order a board uptodate somehow ? Some vendors may offer/confirm the BIOS will ship at a certain version, but ... there is still a chance it may not, unfortunately. The only real ways to be 'safe' is to just have another non-Raven Ridge A4 CPU on-hand. Yeah.. The newer boards will ship with the latest BIOS version. But there are still a f*ckton of boards around with the "older" Bios version. Is there a different motherboard,cpu that could fit right into this build without the compatibility issue with similar performance and pricing? PSU is simply overpriced at $67.39 https://pcpartpicker.com/product/B6XnTW/cooler-master-masterwatt-550w-80-bronze-certified-semi-modular-atx-power-supply-mpx-5501-amaab-us At the time of writing this PSU is generously priced at $33.98 with the same wattage, just no glorified "80+ Gold Certified" plastered on it. This is also a Tier 2 unit, so any concern about this PSU spontaneously combusting is nothing short of paranoia. Also, the 1060 6 GB is a poor value in contrast to the 1060 3 GB at the moment. Could I play overwatch on a 4k monitor and stream using twitch? I know that might be pretty demanding on a computer. I would guess no, a 1060 is made for 1080p at high frames or 1440p low-medium settings 45-60fps. and with the monitor, operating system, and keyboard.... its 753.24. nice try. but if you already have those things.... good 4 u.
would this set up allow me to play games such as siege, fornite, pubg adequately? Just curious, I am a newb and am lookin gto set up my first gaming pc. ehhhh you could easly cut 100 bucks out of the budget. spend a bit more time with pricing out the parts list. Nice build, it's good that a decent pc can still be built for under 1000$. We've limited it to DDR4-2800 and DDR4-3000 as Ryzen CPUs scale well with higher frequency memory. At the current time, using memory rated over 3000mhz is not advised without doing extra research as DIMM support can be hit or miss. Noticed this a lot on builds - why not just update the article when you decide to update filters? Soooo, can I buy this and build it and be ready to go with a BIOS update without the need for another computer to do the update? This will be my first build and I want to make sure I'm buying a computer from the build guide that will actually work as soon as I buy the recommended parts. It wouldnt be 100 percent certain. You need to make sure the bios version of the motherboard supports the new ryzen apu. i hate BITCOIIIIIIIIIIIIIIIIIIIIIIIIIIIIIIIIIIIIIIIIIIIIIIIIIIIIIIIIIIIIIIIIIIIIIIIIN!!! \ ARRRRGh!!!! 1060 3GB is fine for 1080p gaming; and much more sensible for a modest build. Mining screwed up the market. These people need to get a job instead of sitting around loud fans from GPU's @100% 24/7, expecting income. If there was a way that Nvidia and AMD could somehow disable their GPU's ability to output Mh/s, GPU prices may go back to normal. For now we are stuck with this Bull-s***. If i wait on the gtx1060, can i play games like fortnight and csgo in the meantime? Yes you can if you turn the settings down to low. Thinking about making something like this to run games like CS:GO, Ark Survival Evoled and The Isle, first time builder and wondering if theres a way to cut down on the price a bit. Take a look at this build; I changed the motherboard for a similarly capable but slightly cheaper alternative - it does not have 4 slots for RAM but you likely will never run 64GB of ram on that board, and 1x8 isn't much worse than 2x4 (and the one stick will only be temporary) if that's the only reason you wanted four slots. You did not have a cooler selected so I chose the low-profile Cryorig C7 to fit in your MicroATX case. I changed the RAM because of compatibility issues - Ryzen is picky. 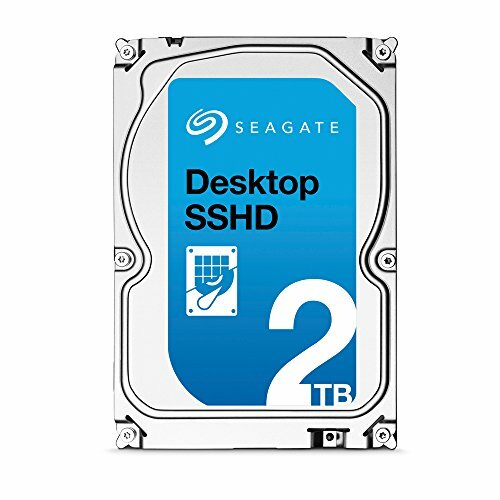 I opted for the WD Blue 1TB HDD instead, I suggest you put the money saved on the 2TB HDD towards getting a SSD, if you think you'll use the space however, just change it back. I changed the power supply to the cheapest one that I know is reliable, Corsair PSUs seem to be getting a bad rep lately otherwise I would have suggested the RM550x, any of the three would be fine though realistically. Future upgrades should be a SSD, GTX 1060 6GB and then a second stick of that Vengeance LPX RAM. While I agree on the 2TB HDD being overkill for most "modest" gamers, going down to 1 stick of ram on the board without a graphics card is suicide for that 2400G. Well, eventually (and really already) the price of crypto will crash. There are a huge slew of reasons why it is just not feasible as a daily currency, or investment vehicle, or really for anything. Mining gets more and more difficult. The only people that mine now are idiots. Theres no money in it anymore as the value relative to cost has gotten so poor. Right now its all these poor sops mining these no name currencies to get coins worth $0.00007 each, as they comb forums and tell eachother that any day now Randomcoin is going to $28 million each. The problem is that bitcoin did create some billionaires, who were lucky enough to have 5000 BTC (when it was $5) and were smart enough to see the bubble. We are still in a bubble. Though I hope it shows signs of popping. Its like exactly any other bubble. My parents made a good chunk of money in the dot com bubble. But its still a bubble. Over exuberent investors trying to make a quick buck. If it was real, you would see uptake a lot faster. There are technical reasons crypto wont work as well. I can spend a dollar in about 20 seconds. That much bitcoin takes a few hours to spend. This means itll never be useful to buy a pack of smokes at 7/11. You used to be able to game online companies in the same way that tried to do eChecks. Youd make up a reasonable sounding number and ship something overnight. They get out item X the next day, but they don't figure out that the check was bogus for 3 days. Since all the other information was also bogus what are you going to do? Some people call that fraud... Tomato Potato whatever. I of course don't condone such behaviour and would never do such a thing. Nor whould I do the same thing should retailers consider accepting cryptocurrencies in a wide spread fashion. Also, because blockchain stores every transaction that ever occurs, as a mechanism for proof of stake, it has this problem of...storing every transaction thats ever occured. Which works great when theres just 100,000 idiots out there trading it back and forth for no particular reason. But when its 10 million... a day, or as with say USD 10 trillion a day, it can get a little long. Which just makes the race condition above even worse. But if you don't do it, then it opens up another attack where I can tell you I have 1000 stupid coins, you cant prove I dont, and I spend them and disappear long before you realize it. Bitcoin solved the double spend problem. But it falls apart at scale. And the rest do as well. So I dont know, I traded stocks long before I learned about crypto. So those of us who came from one to the other know all about how things that go up, can go down, what a bubble looks like, and the dangers of overwhelming optimism. There are lots of teenage computer gamer kids who have yet to learn this (like my brother in law), who this past december could not conceive the possibility BTC might fall (from $19,000) as he piled in all he had. I havent talked to him recently, but I warned him back then. Crypto is currently artificially buoyed by the fact that there is no sell side like there is in most financial instruments. You cant short it like you could stocks. Otherwise Id have shorted the hell out of BTC in Dec and Nov (I even contacted a few brokerages to see if they had a way), and now I'd be too rich to waste time talking to you peasants. And I wouldn't have to come to this page to figure out what I can afford. So hopefully this ends soon. The problem was simple math. Bitcoin as it became more popular, more people bought it, with limited supply and the inability to take the sell side position (more are only released on a schedule), it creates a squeeze where demand outstrips supply, cranking the cost up. If you could short it, there would be a more elastic market. But the more it went up, the more popular it got, the more people wanted to buy and the more it went up. Even without a penny of underlying asset or value, this would be the case. However, the predictable end is that when you hit a situation when everyone knows about crypto, and no one additionally is coming out to buy, it will all collapse. Which is where we are now. Equities experience tells us we will get a "dead horse bounce" where the price will fall, more buyers will show up thinking its a great deal, and the price will recover. It will create this epicycle (which you can play profitably if you are skilled (or lucky mostly) and big banks will do that now that they are in the game. But each new high will be lower than the last. Since we failed to hit the past highs we know BTC is on its way out anyway. But now we have all these people convinced they will find the next big thing. No current technology works well enough though. And it wont be a secret out of left field like BTC was either. So this will die out. Not before NVIDIA becomes bigger than Intel though. I am waiting to buy until the 3080 Ti comes out- in 2027. I might be able to afford that one. BTC rant aside. Theres always eBay. You can get a 1070 for $400 on eBay pretty reliably. So theres always that option. The performance of the BarraCuda is so close to that of the FireCuda that the extra 40 dollars would be better spent on a 120gb SSD. Otherwise this looks good. The initial performance, yes but as a FireCuda owner I can tell you there is a difference in game load times. First PUBG map load of the day is 20-30 seconds. Every map load after that is about 5 seconds to load. 100% worth it to me if not putting games on a SSD. Same with Barracuda man. The maps is already loaded in later sessions. What do u guys think, a Ryzen 5 2400G or a Intel Pentium G4560? the G4560 i hear is a good bang for the buck. Able to tough it out through the workload placed on it and get decent frames. I'll be pairing both with a GTX 1050 Ti 4GB. For the 2400G, it sounds like a great cpu but i doubt ill be running anything using its integrated Vega 11 graphic's (unless ofc u can enlighten me on the other uses of such integrated graphics), but the Pentium runs at a far lower price. What's the point of getting the Ryzen 5 2400G, if you're going to get a dedicated GPU? Ryzen 5 1500x has more L3 Cache (4 times more) than the Ryzen 5 2400G... On top of that, the Ryzen 5 1600 is only few dollars more, but it has 6 cores and has more L3 Cache. I understand the concept of getting an APU if a dedicated graphics card is not part of the build, but getting an APU and a GPU kinda makes it useless to get the APU in the first place. I'll be making something very similar for video editing and general use. I will start out without a GPU just to see what this Ryzen APU can do. and 16gb of ram. "Some AMD B350 chipset motherboards may need a BIOS update prior to using Raven Ridge CPUs. Upgrading the BIOS may require a different CPU that is supported by older BIOS revisions." You need to contact AMD,they will send you an older apu so you can upgrade the BIOS then you can install your APU,that shouldn't bother you. Would any Internal Blu-Ray Burner go well with this? The CPU only sets a default speed but you can run higher depending on the motherboard. What if you want to upgrade to a 1080 Ti in a few years? Would you need a bigger case to make it fit? I've been looking into how much a good gaming PC would cost me, and it gets expensive really fast, because I don't have a lot of the needed peripherals. I need a good comfortable mouse, a 4k monitor, a Windows licence, 5 TB to store my games, steam link, and a steam controller. The determining factor here is what stock trading app do you have? A $400 Intel I3/ AMD Ryzen3 build may be enough if you're using Etrade, or if you're using Machine Learning / AI high frequency trading you might need a $1500 Intel I7 / GTX 1080. The 6GB isn't simply a VRAM bump. The 3GB version is cut down and has lower performance in addition to the reduced VRAM. Why go for a 2400G instead of a 1500X when you have a dedicated GPU? The only real difference besides the price is the iGPU, but with a gtx 1060 it makes no sense to pay the premium for the iGPU. I bought a 1060 6GB last year before knowing that monitors that support g-sync are way more expensive than those with free-sync. I ended up buying the cheapest 1080p screen that I could find which supports neither. I should have bought a 580. Why a APU if you going GTX1060, i would prefer a Ryzen 5 1600 for exemple. Hias, what do you mean? don't even remember the comment, tried to look but guess was deleted, what was my comment please? I have a question for people who can answer this, I'm kinda new to building PC's and I wanted to know how much storage I need for a decent PC. I don't want it to be crap, but I'm kinda leaning around 2TB of storage, I think 1TB would be too little. I plan on having this PC for a little while and don't want to run out. However couldn't I add another SSD or external storage later if needed. Thanks for listing a great build guide, I was wondering about the RAM that the filter is bringing up. It doesn't seem to be listed in the compatibility for the motherboard which is selected by the filter. Is it that this list is out of date? Also I was wondering if the new 2600x might work with this build? The QVL is only a subset of compatible memory that the motherboard manufacturer has tested and whitelisted. what about the bios update? I'm a newb at this, and was wondering if someone would answer a question for me. I was thinking of doing my first build using the 2200G or 2400G for a budget desktop, and light photo and very lite video editing. I was wanting to not have to buy a GPU to keep it a "budget" build. My question is... why buy this APU, and build it with a GPU? Do the two different graphics processors work together, or as I thought I understood it from reading elsewhere, that adding a GPU overrides the Vega graphics in the APU. I understand upgrading to a GPU at a later date if and when prices come down, but why build with a GPU and the APU? Is it because the 2400G is a good processor for the $, that it just seems better than buying a stand alone Ryzen CPU? Did I ramble too much? LOL... as I said, I'm a newb, so just trying to understand all the builds I see with the APU with a GPU. Thanks! OK.... sorry.... with my A.D.D.... I just read the Preface. It's exactly why I wanted to go with with the 2400G. Thanks for the info. Thanks! I bookmarked your parts lists for reference. You should swap the 2400g for the 1600 as so many boards are being shipped with old BIOS. Is there any particular reason you went with the 2400G as opposed to the 2200G for this build in particular? could i buy a 1050ti with this set up instead of the 1060? We all wait for the GPU manufacturers to start creating GPUs specifically designed, packaged and marketed exclusively for mining (some people wont understand the technology is the same). Starting to separate the Graphics Processor industry (even though there is no real technical need to do so at this time). They could technically create variants of each CARD that would appeal to each segment. Miners are making money and as long as that continues more people will use their money to buyout the GPU market. Makes it extremely challenging times for OTHER hardware manufacturers to continue to push the PC industry when ONE SEGMENT is causing delays in supply which can delay customer builds. Maybe all the other segments should gang up on the GPU market... or more Chipset manufacturers need to break into the GPU market and create more supply to meet the demand. First solid company to make this move might give NVIDIA and AMD a run for their money. I think that there is something wrong with the chipset since on mine it says that there are some incompatibilities. It is a note about the BIOS. this build is gold but I live in Canada and well yeah, I have to make my own build since my local staples sells no less than 1000, I built one for more than this. and plus taxes this costs like a thousand lol. But still, anyone who can buy this. do it. why a 2400g and a gpu? But wouldnt shipping cost make it about the same overall? Sweet build. I will most probably be using this as the base for my first gaming desktop. My only queries are: 1. Do I need an additional CPU cooler? 2. If I were to get a 1070 or 1080 in future, is there anything from this build that I would have to change as well? 3. Can CSGO and Dota2 be played at high frame rates on 1080p using this build? Whats the difference between the Firecuda and the Seagate - Barracuda 2TB 3.5" 7200RPM Internal Hard Drive? I know ones a hybrid but I don't know what that means. The hybrid drive has an 8GB SSD cache which substantially improves the speed of the drive over a standard HDD. Also would an MSI 1050 Ti 4GB work with this build? the drivers of both nVidia and AMD for the integrated Vega GPU in the Ryzen 5 2400G will cause annoying errors and both drivers will not play nice with each other. AMD and nVidia are aware of the issue but no fix has been issued yet. Do you have a source for this issue? Can you remind me what was the issue I wrote about, I cant seem to find my comments anywhere? If you got no issue with your build then this issue might have been solved, or you were just lucky. Why would you get the Ryzen 5 2400G if you also have a dedicated GPU? Save a little more and get a Ryzen 5 1600 or save a little and get a Ryzen 5 1400. Why did you go with the Ryzen 5 2400g, an APU? Why not go with the Ryzen 5 1600? They're very close in price. Not sure why one would choose the Ryzen 5 2400G here as the CPU when you have bought a GTX1060. The integrated GPU here is not at all bare bones like the Intel HD ones. The IGPU on the 2400G is actually better than some of Nvidia's lower budget GPU's (i.e. GT 1030 /750Ti and so on) and can run most modern games at > 30fps with some tweaks to the settings. If you wanted a quad core chip, the Ryzen 3 1300X with GTX1060 would have made more sense (cheaper) or go 6 core with Ryzen 5 1600 for a little extra money. Noticed in preface that this was an option for someone building a PC while waiting for GPU availability. It is a reasonable option if one is unable to acquire their desired Nvidia or AMD card. My reply in this case should be taken as generic without referencing the Author's reasoning. When Microsoft transitioned from a free Windows 10 to a payed Windows 10, their website was not updated for like a month. I installed the full Windows 10 iso without a key from their website before they fixed the it. in my opinion you should have got a gtx 1050 and upgraded your cpu to intel or other cpu. but hey thats just my opinion. Thats the best idea I've seen all day! Ryzen is good. Intel isn't the master race anymore. true, but Intel is good if you want to save some money. Ryzen is for NASA computers ( sky end pc) high end is i7 cores, mid-end is a powerful pentium. If you're willing to wait for a video card, might as well wait for everything. Don't get an APU if you're planning on getting a video card. It's a little bit of a waste. The CPU isn't bad per se, but you might as well get a 1500X or even a 1400 if budget is really tight. Do NOT get a WD Blue drive that's over 1TB, they're 5400 RPM and if you're going to be using them for anything other than archival purposes, you're going to have a bad time. You're better off investing your money into an M.2 slot and using up the 4 SATA connections for your HDDs. As it's touted as a gaming build, you don't need 4TB, get yourself 1 TB or 2TB (but NOT from the Blue series). The 1060 6GB is an excellent choice, but you might consider an RX 580 (or even the 480) for FreeSync. If the point of the case is its small size, then yeah, great choice, but I'd consider getting a bigger case for less money and more spacious interior. Finally, the PSU is hell of an overkill for this system, you'll be perfectly fine with a 450W PSU, the Gold is nice, but you have to consider that your "savings" on electricity would be so minimal that it doesn't really matter, the lower upfront cost is, in my opinion, a much better option than to save 25€ a year (and that's if you're running your PC at full load 24/7). No. The 2400g isn't like the APUs of yore. You aren't losing almost any CPU performance compared to a 1400x or 1500. With GPU prices as insane as they are, the 2400g has compelling price to performance. Ryzen doesn't even have video built in to the normal CPUs, so OP would have to go out and pick up a GT 1030 or something like that. Completely pointless. These are 7200rpm drives, as stated by gush37 already. The RX 580 gets consistently much higher hash rates than gtx 1060s, so miners snap them up and they start at $500. Not a good suggestion in the current price climate. This is an excellent case and is great to work in. With SLI and Crossfire getting next to no support, there's not much reason for budget gamers to go with ATX boards anymore. A good PSU now saves you the headache of getting one later. Better to fork over for a 600w and never have to worry about your GPU / CPU overclocks than have to resell a 450w and get a new unit. And why the hate on WD Blue drives? They come in 7200 RPM and are bestsellers for a reason. Good cheap performing drives. You just said hashrate. I love and absolutely despise you at the same time. 2400G has incredible value, but as I'm typing this, Ryzen 5 1600 price has dropped to 163€ here, and the 2400G goes for 159€. I'm well aware of it's relative good performance as an APU, but for first-time buyers it's just better to wait than to buy something that isn't as powerful as it's similarly priced alternatives. I replied to him, and AFAIK there are no 1TB+ WD Blue drives. I'm not suggesting anyone would overpay for anything, I'm quite against it.. I'm saying the RX 580 is a good choice in its reasonable price (I got mine about 2-3 months ago for 270€), regardless of price, the 1060 6GB is a solid card (better than the RX 580) and costs less (as of now). But, again, this build is for "later", a time when prices are reasonable, so what's the point of saying that the RX 580 is too expensive right now? Well, I take your word for it that it's a good case, but for me it's a bit too expensive, and you could still use an mATX board in a larger case, you'll just have more room - but the main point is the price. If it's about how good the PSU is, then why is it a parametric filter? It's based on the specs, not on a review of it. Well, don't worry, 450 watts is more than you'll ever need with a 2400G and a GTX 1060. Even with OC. It's also not just about wattage, as it's not what drives the price up, it's the fact that it's Gold certified. It's nice to have, but for a "MODEST GAMING" build, you don't need one. The difference is 5% of efficiency. You're not losing anything, well - you do.. money, but your gains are insignificant as a "modest gamer". There are actually WD blue drives that run 7200rpm. Can you link those drives? I'm only aware of 1 model that is a 7200 RPM, the WD Blue 1TB model (WD10EZEX), everything beyond 1TB and even the SSHD are 5400 RPM models. Never mind, thought you were talking about any size. I have a 1TB Blue that runs 7200rpm, and thought they all did. I'd suggest using either a R3 1200 + GPU or a 2400G, not both. Using a discrete GPU with an APU is a waste of money. Please read the preface on the guide. nah.. this PSU is great! Seasonic make awesome PSUs.. that way you can use the PSU when you decide to upgrade. And why would you judge the pricd of the PSU by the price of the case? If anything you can find some nice New EVGA 650w GQ's all Modular on eBay for around $60-70. and also Vclutch most PSU's in builds are more than the case anyways.... its a part to use the PC, the Case isn't required to use the PC, so your point of the opinion your making is pretty unintelligible. Well thats a bad rule of thumb in my honest opinion. Considering that a faulty case is not a problem so much. a faulty power supply can blow everything it powers. AKA everything. Nothing in this part list is incompatible. Is it a glitch or what? Bios updates are notes, not incompatibilities. Please don't type in all caps. Additionally, read the description for reasoning on the APU. Keep it polite or don't comment on this site.